Each year the Doyle Inn offers a series of trainings focusing on teaching practical skills in civil litigation to young lawyers, law clerks and law students. The Doyle Inn provides this opportunity to further its purpose of educating and mentoring young lawyers in the community, and is the only Inn of Court in the region who provides this for the legal community. We try to make these trainings interactive where participants feel free to ask questions and contribute experiences. We also invite experienced practitioners to share experiences as well as sample pleadings and relevant reference materials that can be used by young lawyers. The Doyle Inn has offered, and will offer, sessions on civil litigation process; taking and defending depositions; direct and cross examination techniques; negotiations and settlements; and appellate practice. Materials are distributed ahead of time for participants so they will have examples for future use. These training sessions are offered to all members on the Denver Area Inns of Court at no charge. We apply for 2 CLE’s through the Colorado Supreme Court for each session. We are applying for 2 CLE’s for each of our sessions. There is no charge for attendees. These sessions will be held from 4:00 – 6:00 PM on the third Wednesday of each month beginning in September at the downtown office of Wheeler Trigg O’Donnell LLP, Republic Plaza, 370 17th Street, 45th Floor, Denver, CO 80203. A list of the sessions is set forth below. Materials will be distributed ahead of time so participants will have examples for future use. We hope this will be an interactive process with participants feeling free to ask questions and contribute experiences. We also invite experienced practitioners to share experiences as well as sample pleadings and outlines. Please let Randy Bramer know if any of your Inn members, young lawyers or law clerks may be interested in attending. Also please have them RSVP to Randy at randy.bramer@ogc.usda.gov. We hope these talks will help further the Inns’ purpose of educating and mentoring young lawyers. 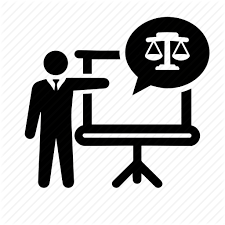 How to Take and Defend a Deposition: What You Need to Know. September 26, 2018. This session will offer practical advice and suggested models for taking and defending depositions. Negotiation, Settlement and Alternative Forums for Resolution: What You Never Learned in Law School. October 24, 2018. The session will help young attorneys learn more about early evaluation of a case and examine ways to resolve cases early in litigation and provide an overview of the various forums for resolution of cases. So You Are Going to Be Witness –Now What? November 28, 2018. This session will focus on the successful preparation of witnesses to testify at deposition and trial in civil cases. Direct Examination – How Do You Do It? January 29, 2019. This session will focus on the conducting direct examination of witnesses at deposition and trial in civil cases. Cross Examination – What You Need to Know. February 20, 2019. The will provide young lawyers with practical advice on cross examining a witness at trial. How to Navigate Private Practice-What You Need to Know- A Panel Discussion. March 20, 2019. This session will focus on what lawyers need to know before entering into private practice. All area Inn members, young lawyers or law clerks may attend. Copyright © 2013–2018 Doyle Inn of Court. All rights reserved.